In the global mobile phone market, Nokia enjoyed a continuous 14 years at $1 spot. The Finnish smartphone maker enjoyed tremendous success in the mobile phone industry in the late 90s and 2000s but with the debut of smartphone and some wrong decisions lead to company’s stumble such low that it too just 4-5 years for Samsung to not only beat Nokia but also become the #1 global smartphone maker. At a time, amongst the top 10 most sold phone is dominated by Nokia [Nokia has top 6 selling phones and out of top 10, 7 are from Nokia brand itself]. While every other brand except Apple shifted to Google’s open-source mobile platform called Android OS, Nokia stuck to its own Symbian platform, hoping that it can stand against Android and iOS. Later they turned their ship towards Microsoft for manufacturing Windows Phone which was a major misstep. After 2009, with touchscreen smartphones, Apple and Samsung showed a tremendous upward curve in the smartphone sales graph while Nokia graph went down and down with each quarter. But ever since HMD Global picked Nokia in 2016, things have been changing quickly. It has shipped more than 70 million Nokia branded phones. Not just that, the company also reached the number 9 slot in terms of global smartphone shipment last year. By 2019, the company is expecting to be among the top 5. 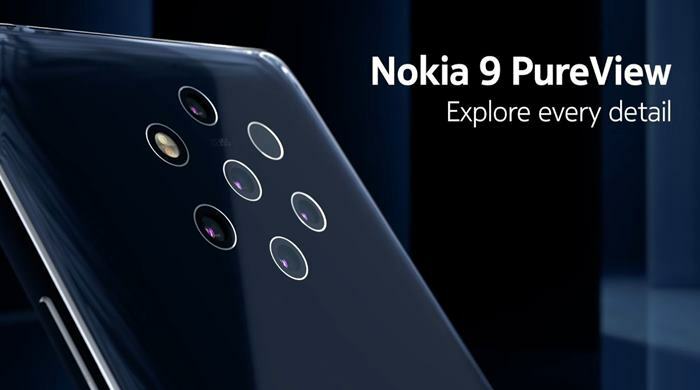 The Nokia 9 Pureview launch at Mobile World Congress (MWC) fetched them a total of 24 awards, 19 of them were awarded to Nokia 9 PureView device itself. So, that’s a great start to the year. If the past two years of progress is anything to go by, who knows one-day HMD Global might be the #1 smartphone seller.